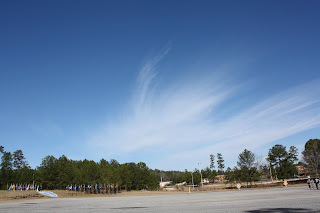 Here I am on Blogger now, reporting in on Tom and I's fabulous little three day get-away to Georgia! 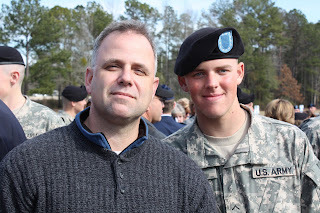 My very gracious (and brave) parents stayed with our children so Tom and I could go see our oldest son Nate graduate from basic training in the Army at Fort Benning. Tom and I have actually never flown anywhere together in our 23 years of marriage, if you can believe that! 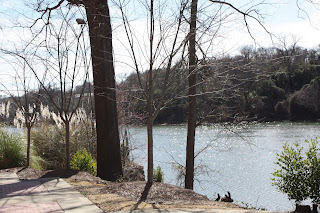 We stayed in Columbus, GA where they have done a fabulous job of revitalizing the downtown area, including a delightful river walk area by the Chattahoochee River. and also with Nate after his "turning blue" ceremony. 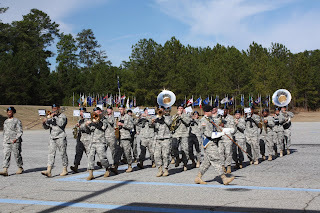 The "turning blue" ceremony was a "right of passage" for all infantry in the army after training when they receive the infantry blue cord which goes on their right shoulder of their dress uniform. 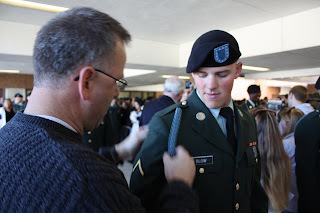 Tom was able to put the cord on Nate after the ceremony. The next day Tom and I were able to attend Nate's official graduation. The weather was perfect! We loved this ceremony! 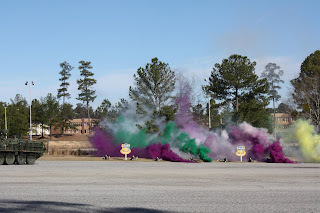 Tanks, colored "smoke" from grenades, and even the Army marching band were there! 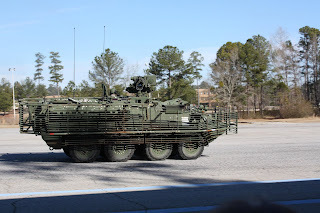 Of course, the highlight for us was when Nate marched right by us in his platoon! 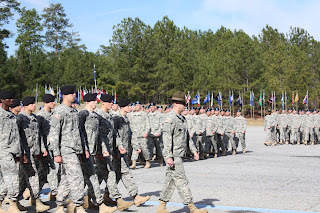 He's in the row directly behind the drill sergeant, second from the right. We had a wonderful time together, Tom and I, but were also very encouraged to see how mature our son has become. He desires to serve our country and make an impact for Christ among his fellow soldiers and that makes me very, very happy. I'm so excited for you and your trip. I'm sure it was very special to be there for and with Nate! Our children do grow up don't they? And that you had the treat of spending time alone with your hubby! We live 1 1/2 hours east of Columbus. 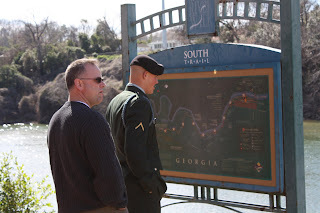 No military sons yet. I know you must be so proud of your son! He is very handsome young man!